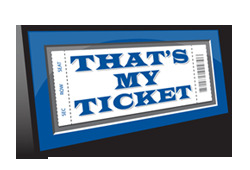 Don't have room on your walls to hang your Mini-Mega Ticket? Then the Mini-Mega Ticket Stand is the answer. 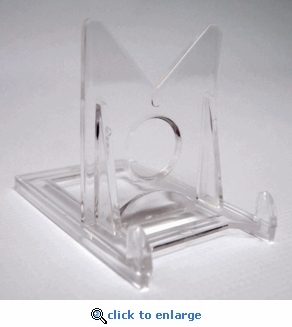 This well-designed, two-piece stand allows you to display your Mini-Mega Ticket, horizontally or vertically, on a desktop or bookshelf.